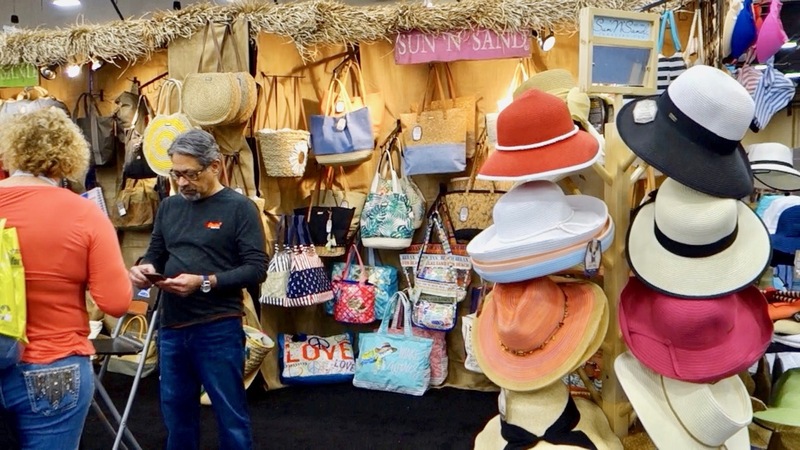 A company called Sun ‘n Sand offered hats and bags for personalization at PPAI’s 2019 show. Walking through the PPAI Expo last Thursday was a pleasure. 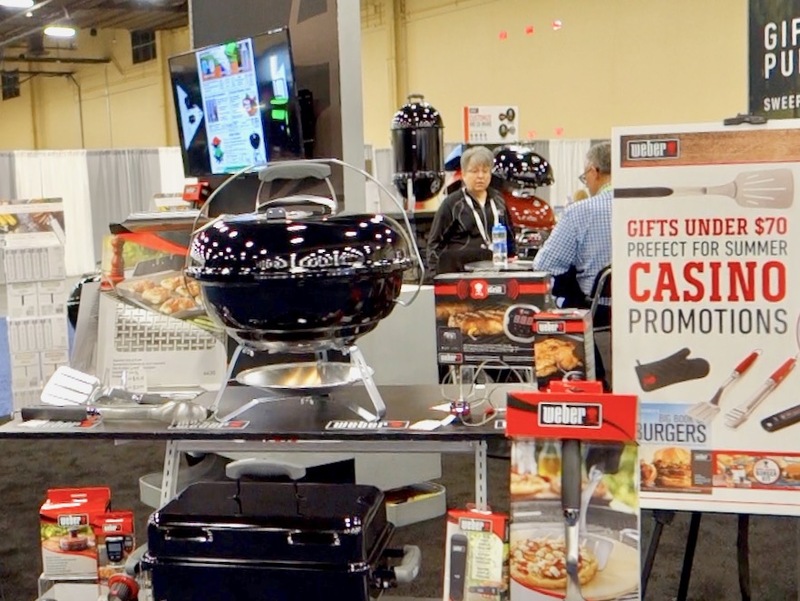 The products on display at this Mandalay Bay Convention Center event are promotional items, give-aways that companies or organizations personalize to make an impression or say a thank you. Promotional products are typically (though not always) easy to carry and, this visitor having just been overwhelmed at CES, found them most easy to understand as well. The world of Promotional Products isn’t small. A million square feet at the Mandalay Bay Convention Center was testament to the number of manufacturers willing to personalize products for a price, everything from a TIDE pen to remove a spot on a shirt to a Monopoly game that becomes a collector’s item. Attendance at PPAI 2019 was expected to be around 25,000 people visiting some 1200 exhibitors. 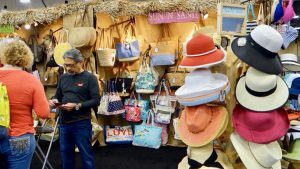 Some of the exhibitors feature well-known brands; others are small manufacturers with products that, hopefully, sell themselves. Weber grills hoped to land some business with distributors who serve casinos with this sign. Along with the two-and-a-half-day expo, attendees could attend a number of Learning Labs, Professional Development Workshops, Software Workshops and seminars such as “Solution Selling for Your Clients”, “Podcasting for Profit”, “Five Tried and True Sales Secrets” and “Brand You: How to Out-Amazon the Competition”. As noted in the attached video, one of the signs that intrigued me was one telling attendees just how much information will be gathered from their attendee badge while the attendee walks the show floor. Attendees can opt out of the possibility they will be followed electronically, but I doubt if many attendees stopped to read the large sign explaining everything. These days attendee badges can tell where a visitor stopped, what booths were the most popular, etc. Facebook everywhere. I could only attend a few of the exhibitors at PPAI, but I seemed to learn something new with each stop.